According to statistics available on the website of the Health and Safety Authority (HSA), slips, trips and and falls (on a level surface) are the second highest reported accident trigger in the healthcare sector. The fact that these incidents regularly result in very serious injuries is highlighted by the fact that 30% of reported incidents resulted in the person involved being absent from the workplace for over one month. Poor floor surfaces which are not suitable for the type of work activity being carried out or, even if suitable, not being properly maintained and kept in good condition. Floor contamination and obstacles such as accumulations of water or other liquids, or dressings, medical devices, their wrappers or containers, not being picked up after they have fallen as a result of poor housekeeping practices. Inadequate lighting as a result of poor design and layout or because there has been a failure to replace light bulbs which are no longer working. Staff members not be provided with appropriate footwear for the environment and work activities involved. Risk assessing and identifying high risk areas. Consulting with and involving staff to ascertain what specific areas and activities have given rise to problems previously. Installing flooring which is fit for purpose and which is suitable for the work activities that are to take place. Ensuring good and regular housekeeping so that spills and waste on the floor are removed as quickly as possible. Clearly marking slopes and changes in level. Reviewing cleaning procedures to ensure these do not contribute to slips and trips such as, for example, ensuring that warning signs are erected around recently washed floors. 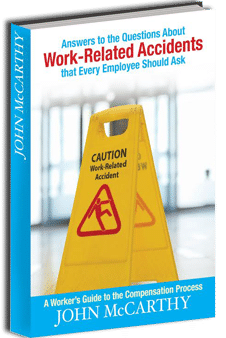 Providing slip-resistant footwear to employees. If your employer has failed to take these measures and, as a result of this failure you have sustained injuries from slipping, tripping or falling in the course of carrying out your duties, your employer will be liable to compensate you for the pain, suffering and financial loss which you sustain as a result.